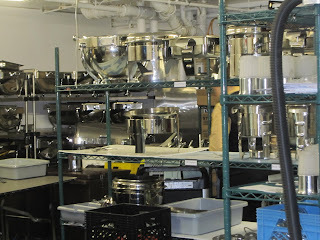 Once Upon A Feast - Every Kitchen Tells Its Stories: How Big is Your Kitchen? The seeds of this post were actually planted months ago when I was fortunate enough to attend the Savour Food & Wine Show which was spectacular. Thirty-five teams of chefs from various restaurants around Nova Scotia and just as many wine, beer and spirit purveyors all doing a fantastic job at giving 700 people the opportunity to taste and sip, over and over for more than two hours. 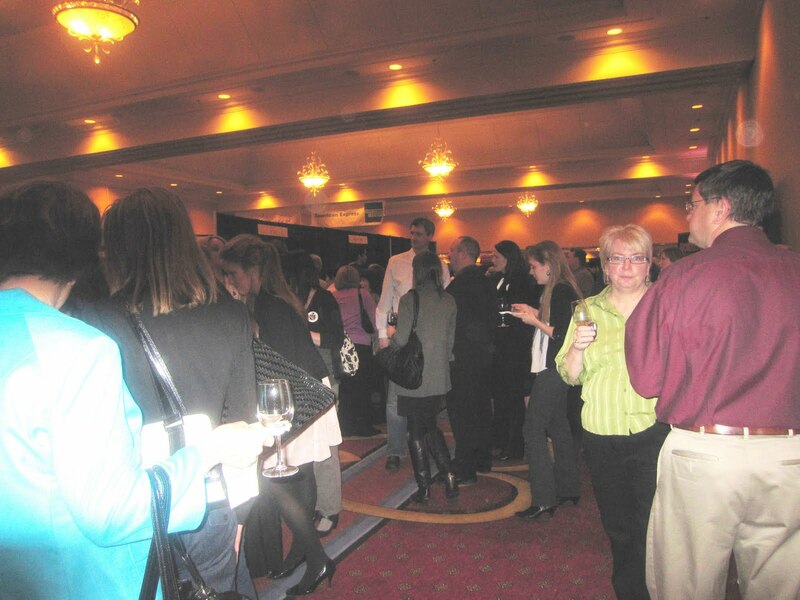 All of which got me thinking about the almost invisible staff of the Marriott Harbourfront Hotel where this awesome event was held. There were stations beside each booth with sparkling dishes, wine glasses and cutlery, that never seemed to run out. Lovely bar style tables were scattered about for friends to socialize over their treats and then leave dirty dishes, glasses, etc, so they could head off and start grazing all over again. 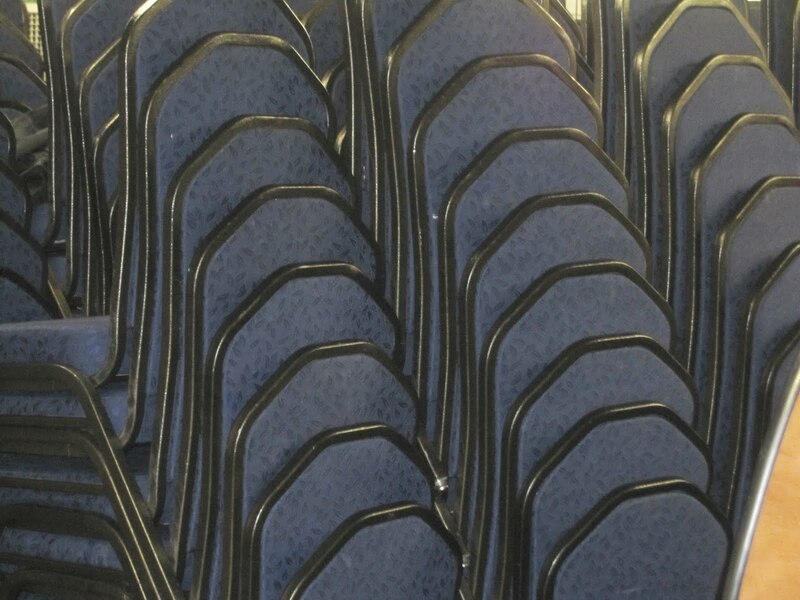 What impressed me most about the hotel banquet facilities (remember that each restaurant brought their own food to showcase) was this...as soon as people left the tables or went away from whatever flat surface they could find to leave their empties...someone, magically and almost invisibly whisked them away. I couldn't get it out of my head so the next morning, at a delicious Press breakfast, at the hotel's signature restaurant - 44 North (with a spectacular view of the Halifax Harbour) I had the opportunity to chat with their Executive Chef , Trevor Simms and asked for a behind the scenes tour. Before I share some head-spinning statistics, I want to put things in perspective- the average home kitchen - I just reviewed a great little book called Gourmet Meals in Crappy Little Kitchens, BTW, and I've had my share of tiny kitchens to work in - has one stove, one sink (perhaps you're lucky enough to have two), one fridge, maybe a dishwasher & microwave, with little room to maneuver. You'll be cooking typically, at most three meals on any given day, for 1 to 4-6, counting the kids with an occasional party for a few more friends. Oh...and usually the only meal with a choice is breakfast "Do you want eggs or cereal?" 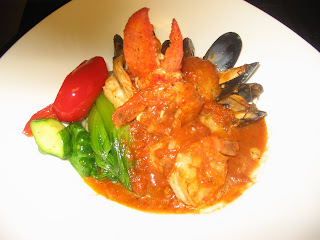 I've visited, a few restaurant kitchens, the smallest being in Toronto, years ago. Imagine walking into a restaurant and the first thing you see on the left is the kitchen, open for all to view...and no bigger than some walk-in closets. 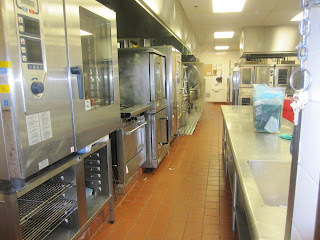 It was smaller than any tiny kitchen I've been in, with, physically, room only for the chef. Frankly, I'm not sure where all the prep was done for the day. Impressive, but then, the restaurant only seated 20 max. And the other end of my personal kitchen spectrum, is the kitchen at Camp Kadimah, the summer camp where my daughter is Director. This is what a barbecue looks like. And although it is serving up a meal for 300-400 at one sitting per meal, there are no choices - other than the salad bar. Which leads me back to Chef Trevor's kitchen. Actually there are two kitchens and this photo is just a small section of the one for the banquet halls - which is 80% of their business - utilizing 20,000 square feet of entertaining space and can accommodate up 1200 guests. Since the halls can be divided, that means that you might find ten different functions, each with their own menu requirements on any given day. Check out the nerve center complete with menus, schedules, and everything else one would need to keep everything moving seamlessly. 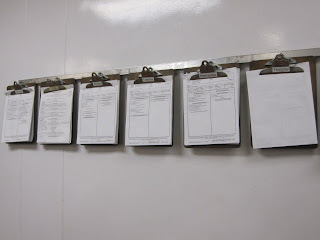 The day I visited there were 300 different menus for the week - and it's not high season yet! My head was spinning. On any given day there is about $60,000 worth of food in 6 fridges, 20 cooks and many more servers, make it all happen seemingly effortlessly. And just FYI - The Savour Food & Wine Show...at least 4000 plates and 20 almost invisible servers on hand to keep it flowing so smoothly. The kitchen isn't the only incredible part of the banquet business. 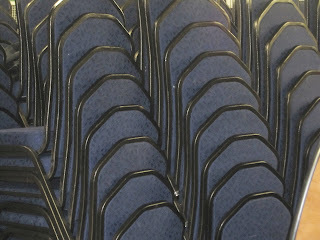 I got a tour of the storage rooms - like the chairs and tables or all those silver cutlery and serving pieces. It is a small city, hidden away from happy guests who have no idea how much planning, coordinating and effort goes into making their event nothing but perfect. 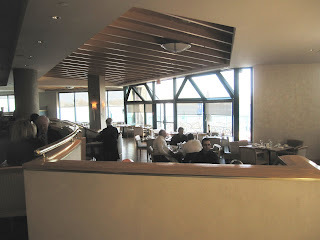 Restaurant 44 North (with a fantastic view of Halifax Harbour) serves up 250 breakfasts & 150 each for lunch and dinner, plus room service (one of my favorite pampering moments on any trip) for 360 rooms, share another kitchen. 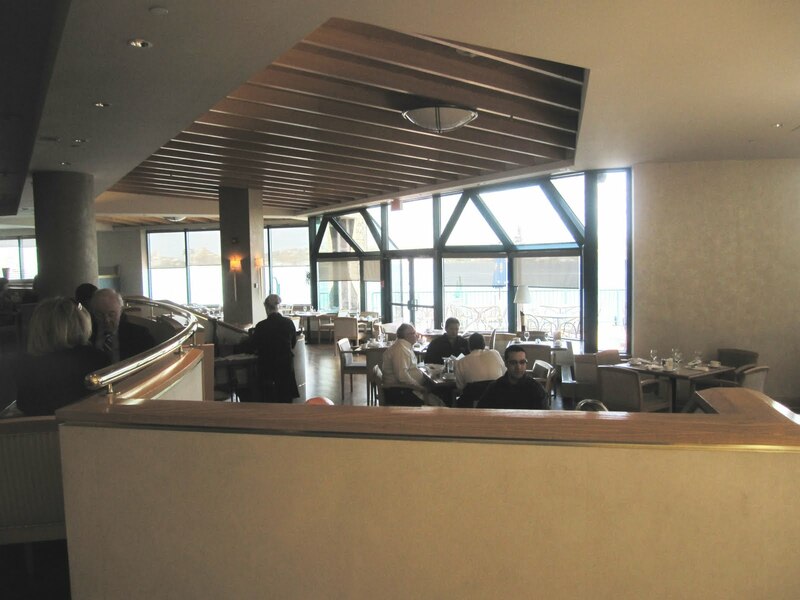 Chef Trevor's superb team of chefs and servers pay attention to the pulse of things, and let the phone and front desk staff know of any impending issues. Check out this gorgeous shellfish bowl - no wonder it's so popular. The Fife & Drum, open for dinner only, has its own kitchen. 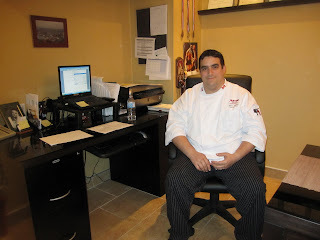 But let's leave the kitchen for a moment and find out a little about the man behind the action...Chef Trevor Simms. His first cooking experience...age 4, making jello with his mom and he's never looked back. Although he was debating between cooking and becoming a mechanic. I'm glad he chose cooking. He graduated from The Culinary Institute of Canada in Charlottetown, PEI and worked in small establishments in St Martins, and in New Brunswick. Then he worked at Casino Rama in Ontario, when it opened, starting at the bottom and ending up as Sous Chef before working at a number of Marriott properties. He actually just came to Halifax to head a two week task force when the Marriott Harbourfront opened and never left. His wife is Chef de Cuisine at another great Halifax eatery - CUT Steakhouse & Urban Grill, keeping it all in the family. His biggest challenge - balancing the demands from the restaurant and room service. He and his fantastic team work together to make sure that whether you're ordering from your room or your table with a view, you get the perfect meal in a timely fashion. Oh...and a good omelet chef for the breakfast buffet is worth his or her weight in gold. His advice to those thinking of becoming a chef - don't rush the process. You need to build a strong foundation and learn as much as you can along the journey. It certainly worked for him. Thanks, Chef, for a wonderful peek behind the scene. In case you have a very small kitchen, this area of your house can look dark and gloomy. It can also lead to a cluttered and chaotic look. This negative environment can keep you out of the kitchen and prevent you from making delicious, healthy and wholesome meals that everyone in your family can enjoy. On the other hand, a wide and spacious looking kitchen looks airy and welcoming and inspires you to get creative with your cooking. Arfi - wow is right!